While Miles is a very busy performer, he has managed to make a fine name for himself as a director as well. His directorial ventures range from regional companies to New York, from contemporary to classical theatre, from full scale musical to nightclub cabaret. He recently directed his first film and the New York workshops and development of the new musical Back Again. He's served as Artistic Director for Musical Theatre Renegades in Chicago and The Hot Spot Theatre Company in Hot Springs, Arkansas. He was lauded for his work as author and director in his marriage of Classical Theatre and Cabaret in the smash hit revue of Shakespeare in song Words Words Words & Music and has been nominated for multiple projects as Outstanding Director by the Manhattan Association of Cabarets and Clubs. Most recently, Miles received Po'okela Awards from the Hawai'i State Theatre Council, for his direction of 1776 at Paliku Theatre and Shear Madness at Manoa Valley Theatre. Miles received his graduate training with the American Conservatory Theatre in San Francisco and his Master of Fine Arts degree from the National Theatre Conservatory (ANTA). Miles also serves as a private acting and audition coach. He coaches in groups, one on one, and remotely, via video chat. For information about his availability and services, please visit the contact page. The two major productions Miles has directed since arriving in Hawaii have both been delightfully vibrant and, while dramatically different in subject matter and style, shared Miles' visual aesthetic and approach to storytelling. Fortunately, they were captured on film by two of Hawaii's finest photographers. 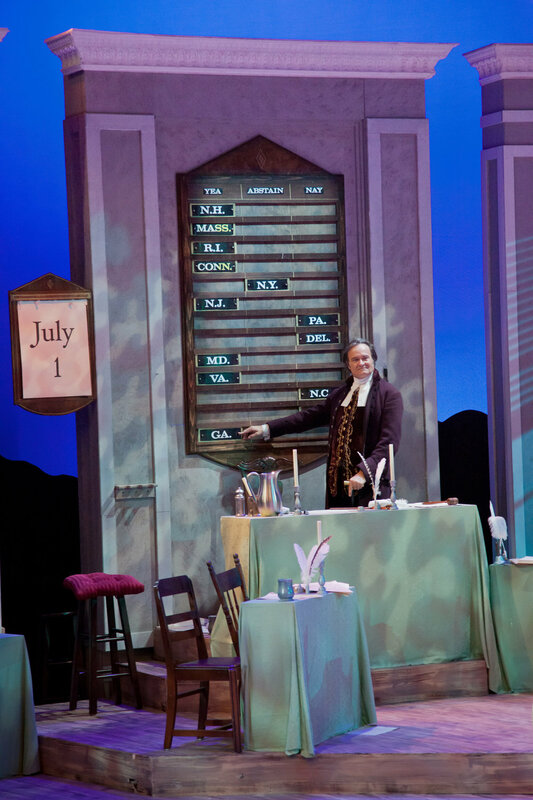 Below are fairly comprehensive galleries that capture the colorful, kinetic productions of both Shear Madness and 1776. 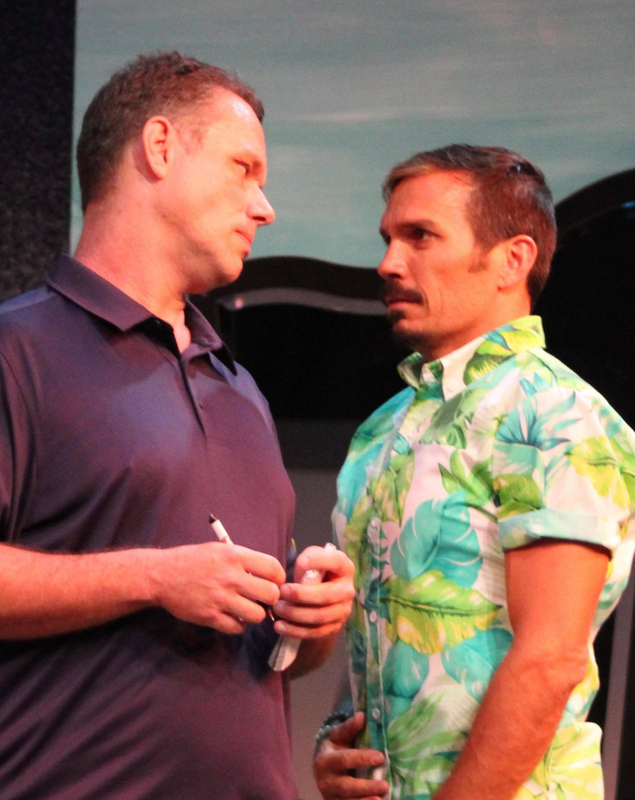 This season, Miles was invited by Manoa Valley Theatre to direct their revival production of Shear Madness, which had played to great success 20 years before. 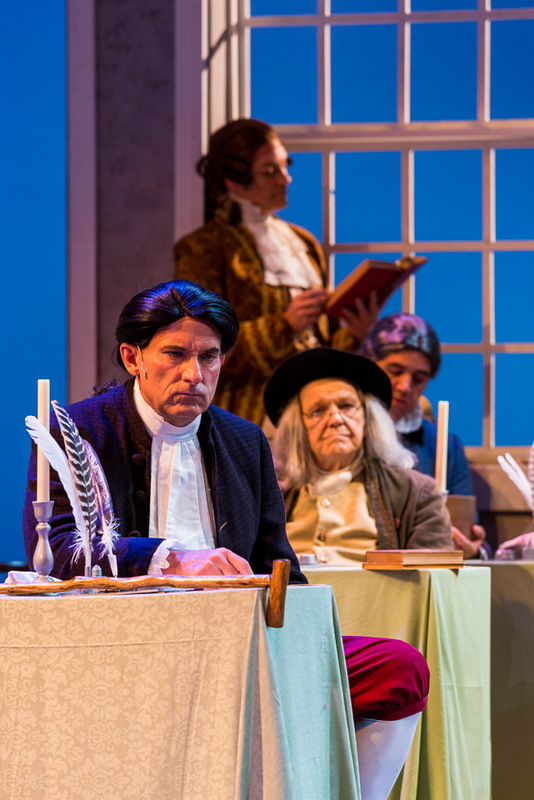 The wildly funny murder mystery farce set in a hair salon, has been in constant production since it opened in Boston 40 years ago and it is officially the longest running play in America. Hit productions have opened around the world, and they have been primarily directed by the original creators. Miles happily accepted the opportunity to take on the direction of such a beloved comedy. Each production of Shear Madness around the world is updated to reflect current events and local references. Miles spent months writing new jokes and populating the script with names and places that filled it with Hawaiian flavor. He enlisted the help of a wonderful production team, notably Set Designer DeAnne Kennedy, Costume Designer Carlynn Wolfe, Hair & Makeup Designer Lisa Ponce de Leon, Lighting Designer Janine Myers, and Graphic Designer David Cox, to create a delightful, tropical world that clearly reflected 2018 Waikiki while honoring the concepts of the original production. He also enlisted the talents of videographer Paul Goto and local television news celebrity Pamela Young, as well as cameo photo appearances from local celebrities like Hawaii Five-0’s Jorge Garcia and Hawaii State Legislator Chris Lee, to give the production additional moments of surprise, crowd-pleasing local authenticity. The result was a smash hit! The original run sold out, playing to standing room only houses, and then enjoyed multiple sold out extensions. The cast featured six remarkable actors who displayed exceptional character skills and the ability to take anything the (very) enthusiastic audiences threw at them, and turn it into comedy gold. The entire cast (Dan Connell, Fabienne Flandre Herold, Sean Koegel, Alan Shepard, Shannon Winpenny, Stephen J. Wyman) was honored with the Hawai'i State Theatre Council Po'okela Award for outstanding achievement by an Ensemble in a Play. And Miles received his third Po'okela Award, this time for Director of a Play! Production photos by Erich Steinwandt, with additional photos by Chuck Babbitt and Miles Phillips. 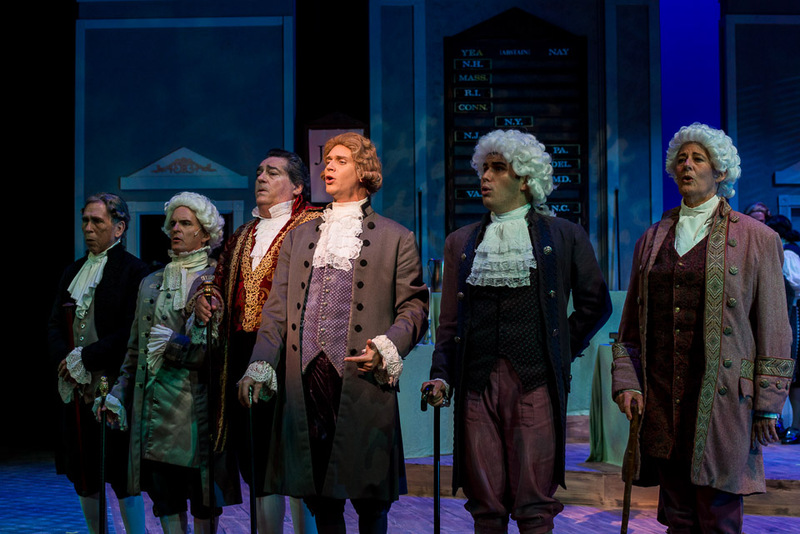 Last season, Miles directed a glorious production of 1776 at Hawaii's Paliku Theatre. The cast featured some of the finest talent on the island, gathered from musical (and non musical) theatre, opera, dance, film, television and radio. Miles envisioned the action springing to vibrant, colorful life from a dust draped setting that was a cross between the actual Independence Hall, The Jefferson Memorial, and The Metropolitan Museum of Art. 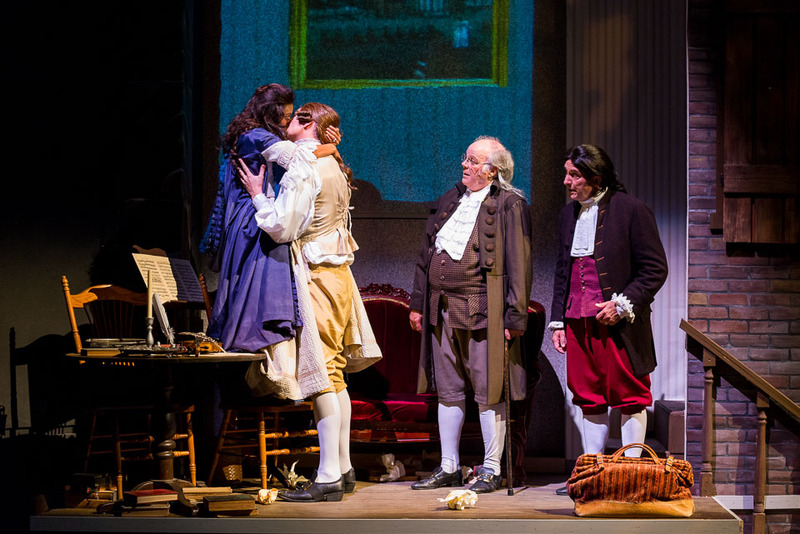 Miles wanted to provide glimpses into how the decisions made by the men in the history books touched the lives of the ordinary men and (notably) women outside the "room where it happens." The response from critics and audiences was unanimously enthusiastic. 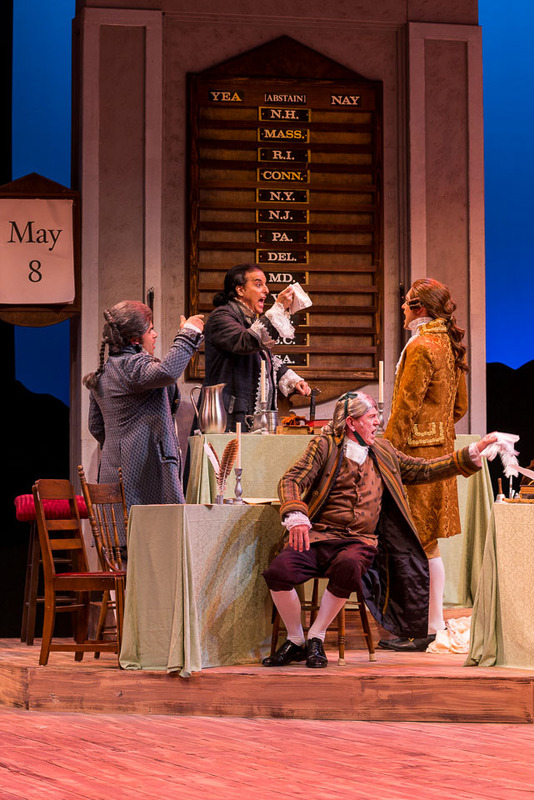 1776 won seven Hawai'i State Theatre Council Po'okela Awards, including Outstanding Musical Production and Director of a Musical award for Miles! Here's a fairly comprehensive collection of photos, taken primarily by the incredible Chuck Babbitt, with additional beautiful photos by Anna Foster, Mo Radke, and Miles Phillips. 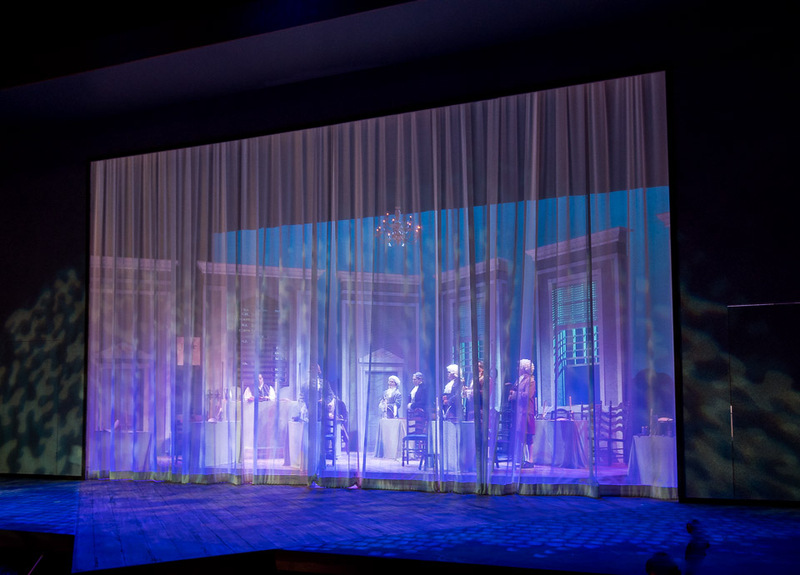 Then, likely informed by his years working in design, Miles creates natural, unforced, yet well-composed stage pictures that further illuminate the core ideas of the playwright. Miles possesses an intimate understanding of spatial relationships and the significant psychological impact they have on the subconscious mind. 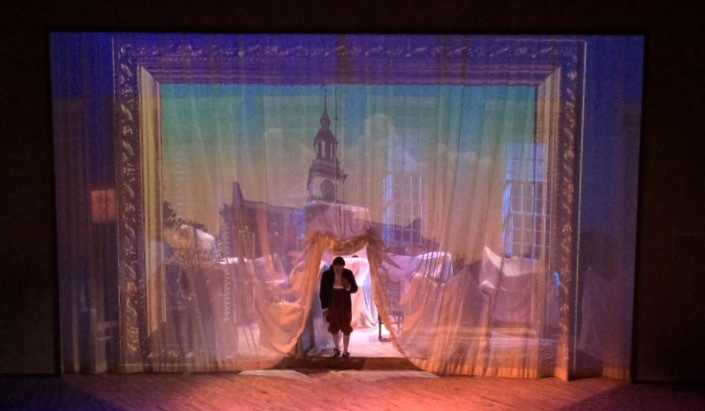 I had the pleasure of being Miles Phillips’ assistant as he directed the wonderful production of 1776 at Paliku Theatre in 2016. 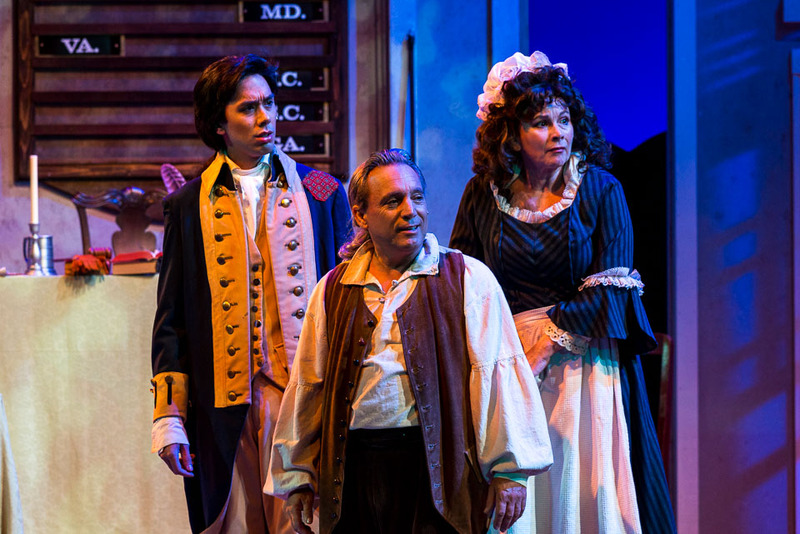 At the time, other Hawaii theatres were executing exciting musicals, which had been on the roster for months – 1776 was a last minute decision for Paliku. Most actor/singers were involved in those other shows, but Miles was able to find a cast, some performers with very little experience, and evoke lovely performances out of them. His knowledge of music and every word in the song and book is like watching a Shakespearean scholar dissect great literature. Miles has an outstanding sense of theatricality, something that is missing in so much theatre these days, which I really appreciate. He is deeply professional, humble, funny, and loves his actors, musicians and staff. He's a damn great actor as well. I can’t recommend anyone more! It has been my pleasure to have Miles Phillips on our production team at Paliku Theatre. Producers in Hawaii certainly always want directors with “New York experience,” but cringe in anticipation of inevitable culture clash. Miles has the temperament and values to be able to work with a local team, as well as his stunning array of professional talent and experience. Nobody can agree with everybody about everything, but Miles Phillips has a brilliant way of allowing others to voice their ideas, consider them seriously, then smoothly decide in a way that is always supportive and never hurtful. With Miles, the only drama is what the actors create during the show. Besides being a show producer, as an actor who has been directed by Miles, I felt respected, instructed and educated. It is rare to have someone just suddenly appear on the scene, and work so well immediately with everyone he encounters. I look forward to every opportunity I can create to work in performing arts with Miles Phillips. 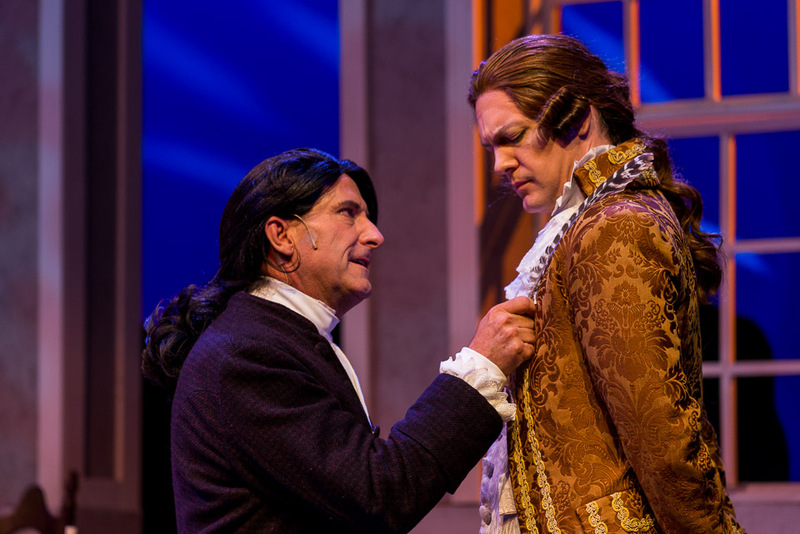 I had the pleasure of working with Miles Phillips during Paliku Theatre's production of 1776 in 2016. 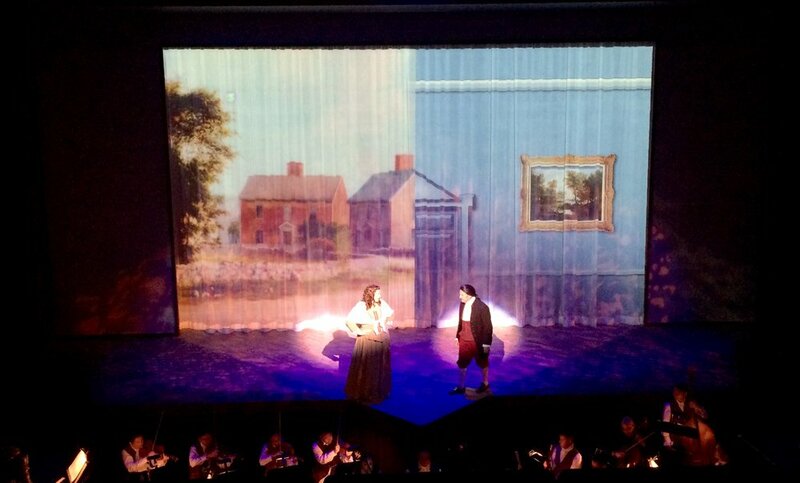 I was the Projection Designer and Costumer on that production. Miles was a wonderful director to work with; he had a strong and clear creative vision for the show and worked with the creative team to make his vision a reality. 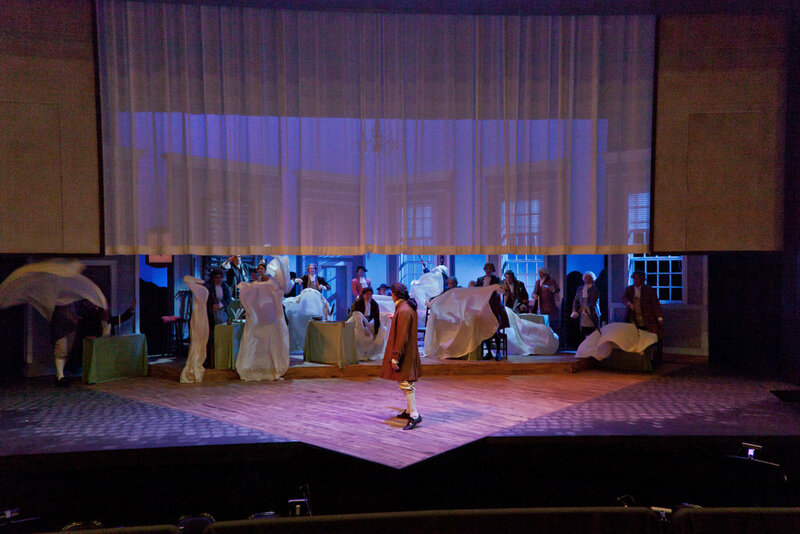 Miles has a full understanding of theater and spoke knowledgeably with designers. He was well prepared for rehearsals, meetings and tech week and expected his cast to be at the same level of preparedness. Personally, I found Miles to be kind, witty and patient with an impressive knowledge of theater and acting. I look forward to the chance of working with him again in the future. We were fortunate to have Miles Phillips conduct a workshop entitled ‘Acting the Song.’ He worked with ten students over a three hour period and the results were just wonderful. He set up a very relaxed environment where the students could work with focus and ease, and he found ways to interact with each student in unique ways that helped each one make incredible progress. I was very impressed with the breadth of musical literature that Miles has at his fingertips. No matter what genre of music the student had prepared, Miles was able to give suggestions based on character and specifics of the material that addressed depth, honesty and individual interpretation. I am happy to recommend Miles in this capacity. In fact he is such a multi-talented artist that I would imagine that any workshop or class he taught would be greatly beneficial to your students. I have had the pleasure of knowing and working with Miles Phillips for over fifteen years. He has served as my teacher, mentor, director and co-performer. I have found him to be patient and supportive. He has the innate ability to bring out the best in others. We met my first year in New York City during a production of Queen Margaret. He was a striking leading man who knew his way around a broadsword. I was surprised to find out he enjoyed working on Shakespeare, staged combat and musicals as I did. But even more important than his extensive range of performing and directing talents, he was very generous to and supportive of those of us who lacked his professional experience. Miles proved to be an excellent listener who was both fair and constructive with his comments. His organizational skills, his ability to nurture and his general excitement and enthusiasm were contagious when we worked on Words Words Words & Music, a revue of Shakespeare in song. 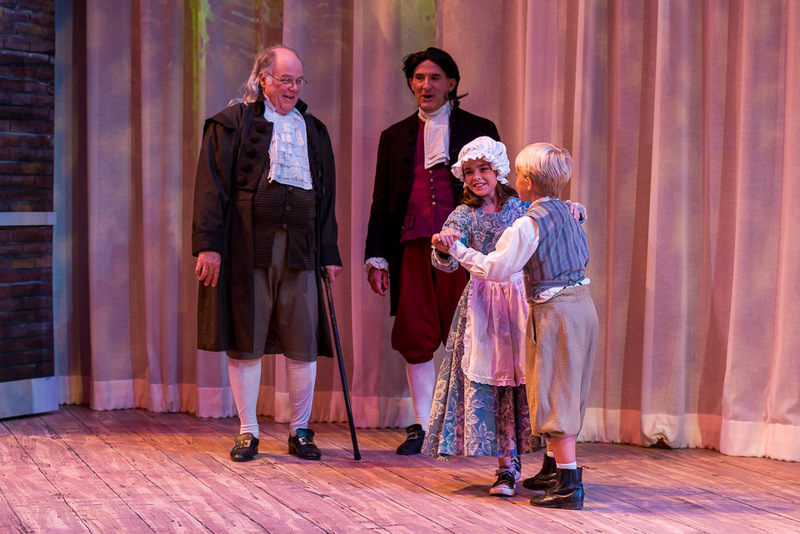 As the author and director he took me under his wing and asked me to choreograph the show. I discovered then he could be a teacher and a group member at the same time, and we made a great team. I continued to learn and grow, working closely with Miles, and I admired how he was always prepared, exhibited compassion, and had a great sense of humor. He had superb suggestions about the arcs of the songs and the flow of the actors. I observed his ability to respectfully say exactly what each actor needed to hear to get to the next level, and he always encouraged us to try something new. Since then Miles and I have worked on numerous shows and cast recordings. I remain impressed with his management skills, ability to create new characters and inspire everyone else around him to maintain the high expectations he demonstrates. I look forward to working with Miles again, in any capacity, and am proud to call him my good friend. Miles Phillips is one of the smartest interpreters of words and lyrics in the field. His razor sharp directing sense, paired with his beautiful and caring humanity, makes Miles Phillips easily one of the greater directors with whom I've ever worked. I've felt immensely blessed to collaborate with Miles Phillips. I always know my projects are in incredible hands with him. He's a leader among leaders, he's a keen listener, and he puts art on the pedestal it deserves. He understands the heartbeat of a piece and does all he can to illuminate just how special it really is. He can do this with every single thing he touches; it's his Super Power. And it's why Miles Phillips is my go-to. Miles Phillips is an incredible individual to work with. Since 2000, I have worked with him in nearly every possible fashion: as a singer, singing my own compositions; as a singer, under my music direction; as a director for my singing performance and my acting performance. His work is always top-notch. His vocal abilities and sound are nothing short of amazing. His rich baritone voice is really one of the most beautiful out there and beyond compare. What really aids his performances from a singing standpoint, is his ability to act – fully act – each number he does. And he has the brilliant insight to find new facets to each song, new direction with each set of lyrics. I have also never met a more collaborative individual. I have been a music director for his solo shows on numerous occasions. And the ideas that he develops for his shows are very inspired. We have a very extensive history of feeding off each other. He will present an idea to me, I’ll take it and ‘run with it,’ he’ll expand on that, etc. I have also had him as a director on three of my own shows. On all three, he helped find an incredible arc that I never thought would have been possible. He can take the most random, seemingly unconnected, offbeat selection of songs and put the whole thing into a VERY cohesive show. Plus he has the ability to help direct the songs from an acting standpoint and really help someone not only get fully in tune with the text of the music, but find new interpretations that they never felt possible. And as a performer, I can truly say that he brought performances out of me that I am very proud of and would never have expected. And as I am often the music director of my cabaret shows, he has inserted his ideas and his shape without interfering with my vision and my expectations. Consequently, he has helped out with whatever needs to be done, but always puts the performer first. This all, of course, reflects how he is as a person – insightful, extremely creative, collaborative, generous and talented. With an incredible voice to boot. I have known Miles Phillips for many years, not only as a director & co-worker (having recorded many musicals together) but also as a friend. I’ve attended many cabarets and shows that Miles has directed and/or starred in. His work and talent impressed me so much that I asked Miles to direct my cabaret debut show Small Wonders, which received critical acclaim and a MAC nomination. In my opinion, Miles possesses the key tools one needs to teach and direct successfully: Experience, Patience, Creativity and Humor. Even at the most stressful of times, his even-temper and witty manner allows him to bring out the best in his students by coaxing them, not pushing them. As an actor, I can tell you that is something not every director/teacher can achieve. Miles is a true ‘people person’ who excels at communicating what he’s thinking in a clear and simple manner. He enables his students to be comfortable and at ease, which allows them to do their best work. However, I can tell you from first hand experience that he is not afraid to drill an exercise over and over again if he feels you are not giving your best. As a performer, he is equally adept singing the most difficult of scores as he is acting them. I feel that any actor would benefit from Miles’ expertise. Watching him tell a story through song can be a lesson in itself. Miles is always on time, organized, efficient, extremely competent, and has an excellent rapport with people of all ages. In short, I strongly recommend him. I firmly believe that he will be a valuable asset to any team. 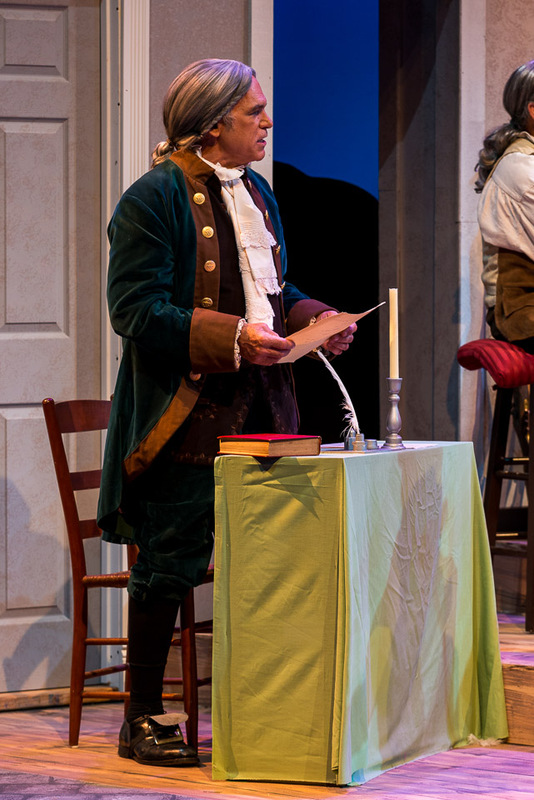 I had the pleasure of being directed by Miles in a recent production of 1776 at Paliku Theatre. His devotion and energy toward our production was impressive. He gave serious and creative thought to each role, no matter how small, and carved out special moments for every character to shine and share his/her story. He fostered teamwork and connection among us as a cast. And, his good efforts resulted in a beautiful and well-executed production that received wonderful reviews. After having been directed by Ron Bright (recently deceased) for nearly two decades, I was encouraged to see that Miles is a man who brings similar qualities to the directorial job, and who could help to bring forth quality theatre here on Oahu for many years to come. Miles Phillips is an astute, creative, innovative and experienced theatre director. 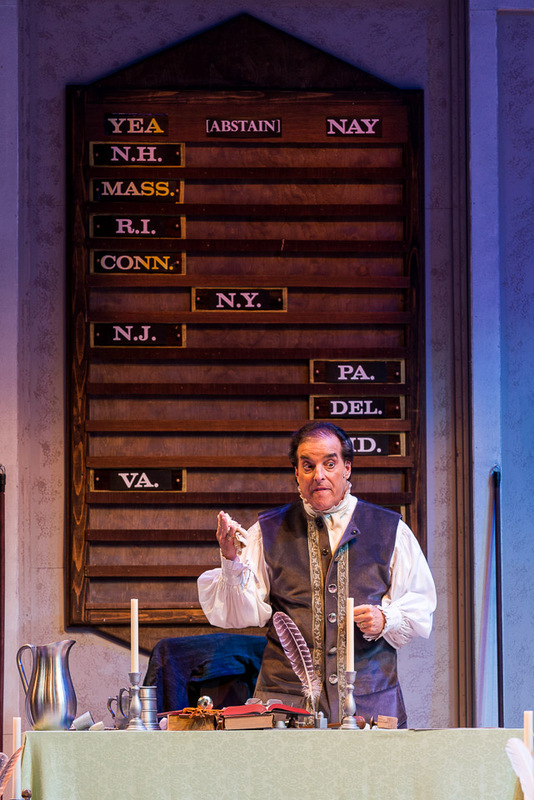 I had the privilege of working with him in the Fall of 2016 in Paliku Theatre's production of 1776. His respect for actors, designers and crews is evident by his collaborative and outgoing nature while working on a production. He shared with us his wealth of experience from his professional life as a director and actor in live theatre. Miles works with the actors to bring out the best of their talents in a gracious and gregarious way that makes rehearsals joyous, creative, collaborative experiences. I look forward to working with Miles again as he continues to offer his gifts as stage director and actor to Hawai'i's theatre community. 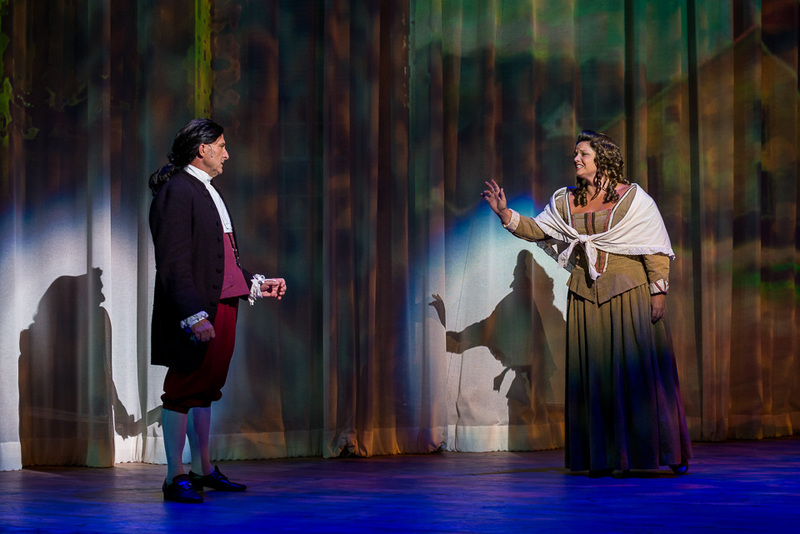 I enjoyed the opportunity of working with Miles Phillips on Paliku Theater's production of 1776 in 2016. As an actor of many years, I have worked with many directors, few as professional as Miles. Miles has a clear creative vision, which he relates to his actors and then allows them to create. He commands respect by setting the example in all aspects of production. His love of story and experienced craft make him a tremendous director and exquisite storyteller. From the audition to closing night, being directed by Miles was a great experience. Always encouraging, he brought his innovative vision to life by bringing out the best in his actors. I personally grew significantly as an actor through Miles' direction, and I know I'm not alone. I'm very thankful to have worked with him, and would be thrilled to do so again in the future. Miles Phillips always made sure that we were working in a safe, positive, and uplifting environment; while still being able to push when necessary to get us to the next level, he did it in a way that lifted up each actor rather than put them down. In regards to me personally, he made it a true collaboration. Miles sat me down, allowed me to explain my personal analysis of the character and the song, listened to every word, shared his thoughts and ideas, and we truly collaborated to find a Courier that was accessible for me every night, and one that fit into the vision of 1776 that he had. Never in my career have I ever had that type of collaboration, and I treasured every single moment of it. 'had to be,' instead he worked towards a resolution where I could be comfortable and at ease onstage. In Cabaret, I believe that to be the best kind of working relationship. Miles has a keen eye for both the profound and the ironic. He is a master of the English language and will help you to get every ounce of the meaning across in a song or a dramatic reading. He's a wonderful singer/actor/performer in his own right, so he has that experience to bring to the table as well. He's also easy to work with and I trust him. I can unreservedly recommend him. Miles is one of the best directors in town. His experience will bring your show to an exciting and fulfilling level. The shows I've seen that he has directed have been totally satisfying from start to finish. He is a hands-on director who will guide your vision into something you will be extremely proud of. Plus, he's super nice! Before you look to hire any other director, contact Miles first! I can't say enough good things about Miles. Because Miles is a performer and a singer himself, his ability to understand the actor is wonderful. He is insightful and has an amazing way of working. I hope to be able to work with him in the future. He is professional yet kind, a rare bird in this industry. Miles created a friendly, relaxed atmosphere for our master class. While being encouraging and friendly, he also had a keen critical eye to see what needed to be improved in our pieces and had very helpful, unique ways to help each individual with his or her piece. Every person in that master class made great strides after working with Miles. He was so encouraging and positive and lovely to work with; I hope I have the chance to work with him again! Miles is completely honest and professional. He is candid about the business and his knowledge and experience is something any young performer needs to hear.